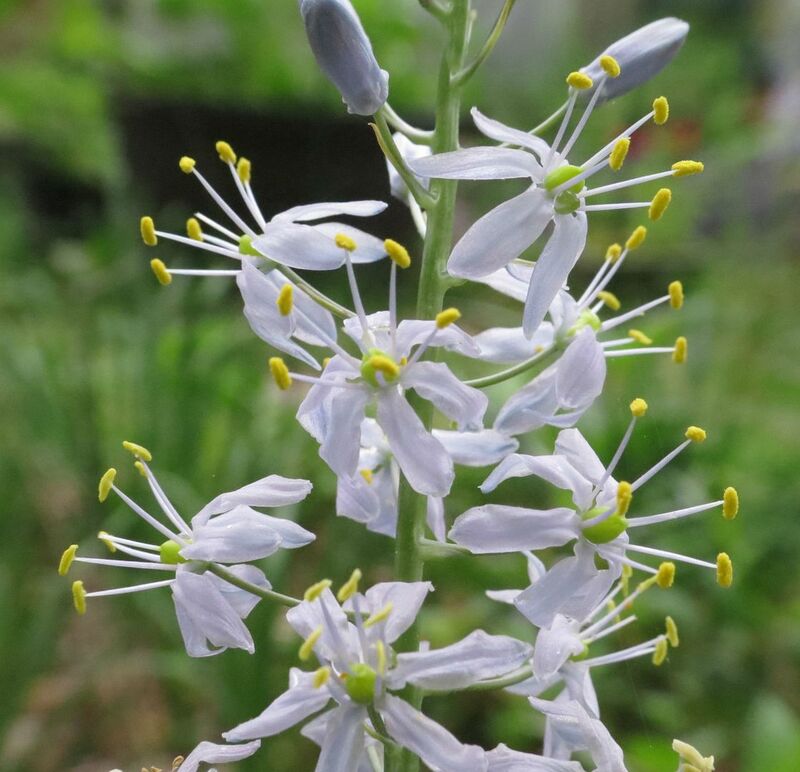 Wild Hyacinth, Camassia scilloides, is quickly becoming one of my favorite plants. At least it better be because I forgot I planted bulbs last years. I then ordered a flat of it on Prairie Moon Nursery... sometime during the winter lull, couldn't find it in my purchase history and saw it was no longer being offered in flats, so I assumed they canceled my order so I ordered another 32 bulbs. Planted the bulbs, had another 32 show up already growing in flats... and also the plants from last year came up and are flowering. So in theory I have 96 plants somewhere in the yard. The ones I had forgotten I planted last year are doing the best. I wasn't 100% sure where they'd do good in my yard though so they're occurring in scattered clumps, and I'm certain the rodents have eaten some. This is one of those loves being wet, but not soggy, but needs to be well drained, and can't freeze in the winter plants. So good loose garden soil ideally on a slope... where good loose garden soil likes to erode away. The best patch I have is in a pit I dug and filled completely with sand. Everything I put in here is immediately shocked and stressed out looking, until they get enough of their roots pressed down into the layer of clay below. It's otherwise been a huge success of a garden. Pictured above and below is one that is growing along the edge of my meadow garden. The plants are hard to focus on as most of the foliage is grass-like down below with a single flowering stem standing erect on top. What's really got my attention is the fact that the flowers all began opening as white, then something triggered them all to fade blue, so now the new ones that are opening are opening up as blue instead of white. And not all of them are doing this, some still open as white. So wherever they're growing in mass you get this neat effect of a light mixing of colors and transitioning. I also love their color directly next to some other natives such as Wild Geranium, Jacob's Ladder, Bluets, Waterleaf. 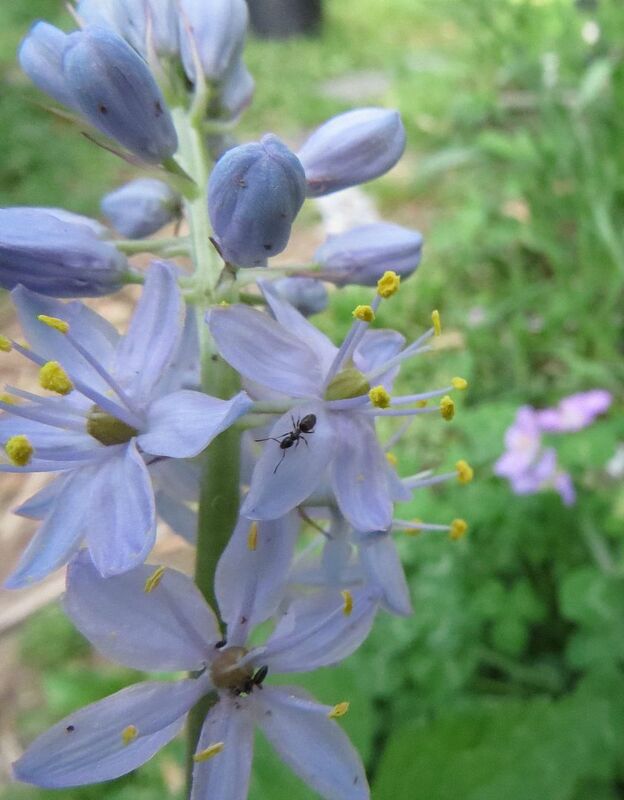 And of course what would a wildflower be in my garden without ants stealing nectar from the flowers. 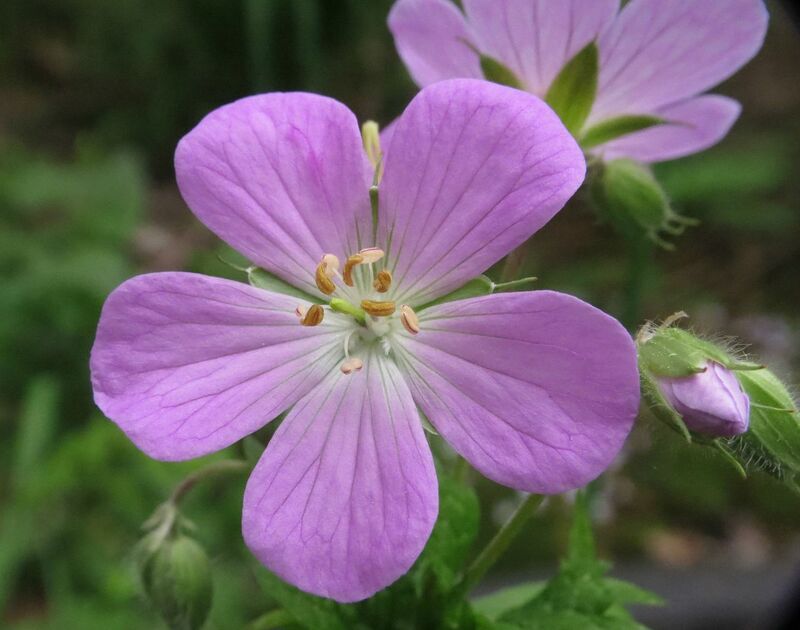 Growing in the background is a Wild Geranium which also has some color variance between old and new flowers. A Wild Geranium for color comparison. 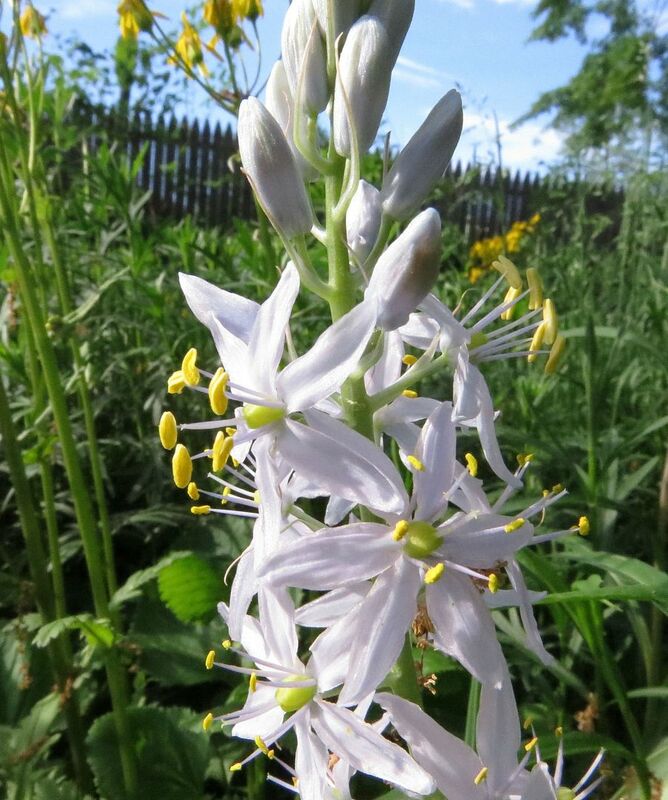 Assuming the ~96 Wild Hyacinth I planted all flower next year I should be in for a spectacular floral display. 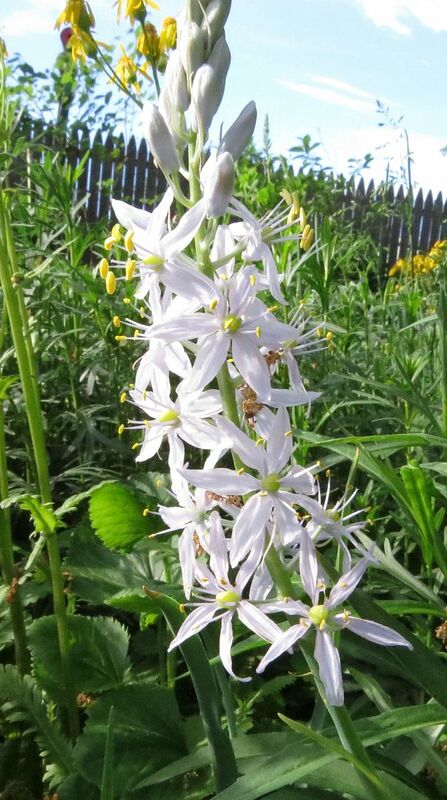 My only complaint with them so far is the individual flowers are short lived, so the smaller flowering stalks are almost finished flowering for the year already.